You can use ScopeBox by Divergent Media for software-based waveform and video scopes LiveGrade Pro’s Image View. 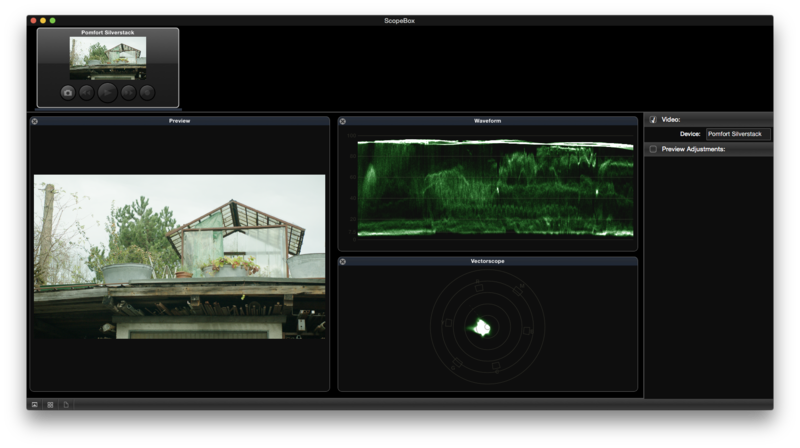 ScopeBox offers a variety of waveform monitors and video scopes that enable image analysis and color control of the content in the LiveGrade Image View. You can receive information about how to download, setup and license ScopeBox software on Divergent Media’s Website. To use the integration of LiveGrade Pro in ScopeBox you have to run version 3.5.3 or later of the ScopeBox application. LiveGrade sends the current image of the player directly to the ScopeBox application by DivergentMedia’s ScopeLink technology. To enable ScopeLink open the ScopeBox application. Figure 1: Add Pomfort’s LiveGrade as a source. Figure 2: ScopeBox waiting for the LiveGrade connection. 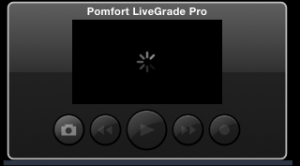 If not already open, now open LiveGrade. Open the Image View. There you can also choose if you want to reduce the number of updates per second. Checking this box reduces the required computing resources for the ScopeBox integration. Figure 3: The ScopeBox UI showing the image of the LiveGrade Image View and scopes. 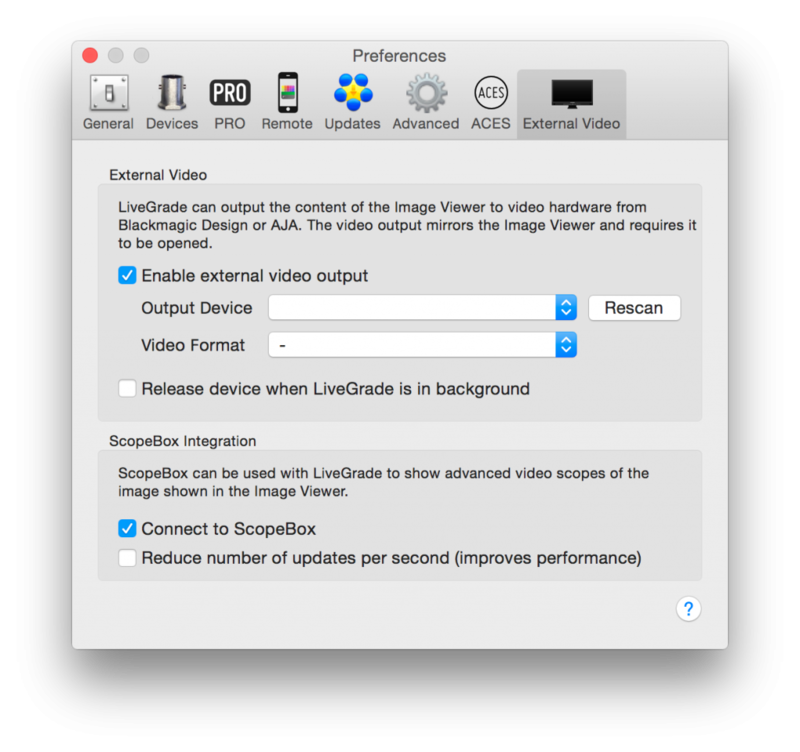 Please be aware that the LiveGrade Image Viewer has to be open to send the current image to Scopebox. Closing the Image Viewer in LiveGrade will continue showing the last frame in Scopebox. When reopening the Image Viewer, Scopebox will refresh the input with the current image from LiveGrade. Find more tutorial videos from Divergent Media about ScopeBox here. Because of LiveGrade’s internal RGB processing, signals from of YCbCr based clips sent to ScopeBox via ScopeLink don’t contain code values outside the legal range (even if they might be present in the source files).